One of the most recognised products inside the optic sector is Prada sunglasses, since they create products of the highest quality. All their products have original characteristics that distinguish them from other brands. 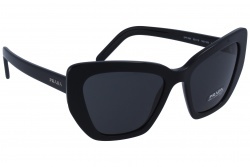 Prada sunglasses for men and women are the favourites among customers. 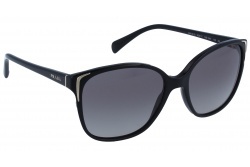 Their sun catalogue offers the best solar protection and many of their models have polarized lenses, making Prada sunglasses one of the best products of the market. 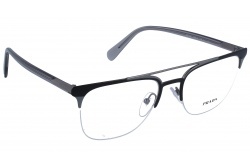 They not only provide an excellent vision but also have a sophisticated and elegant design. Each year the brand launches new collections with classic and sporty models. Their products have a million fans all over the world. 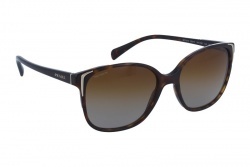 Prada sunglasses stand out because of its exclusive designs which are very famous inside the optycal area because of its sophistication and quality. 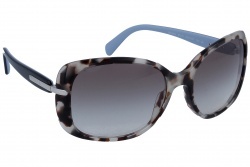 Besides they count on first quality lenses which offer a 100% protection fro the UV rays. Even some of its lenses are polarized. This 2019, Prada presents models with a sporty style and colored lenses for men. 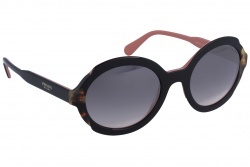 Regarding the femenine colections, the Italian brand, offer rectangular, butterfly and cat eye shapes. In all of them is possible to see straight lines and sober colors such as black or havana. Prada tries to stand out through the simplicity. 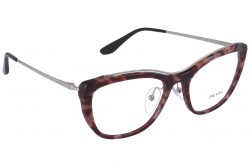 The brand has a wide collection of eyeglasses. Among them, you can choose the one that adapts best to your tastes. All their models look for the best comfort, so you can wear their products for a long time. 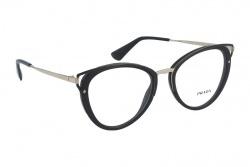 In our catalogue you will find Prada Sport glasses, intended for men. These models can be adapted to a wide variety of sports as golf, cycling or running. Among their collections we can find both eyeglasses or sunglasses specific for sports. 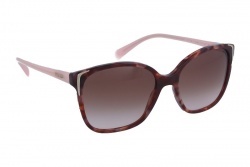 The manufacturer collects inside their catalogue a wide collection of sunglasses for women. The brand creates its feminine designs with the clear purpose of making their products the perfect accessory. For this reason, among these products you will find the models that adjusts best to your tastes. The company was founded in 1913 by Mario Prada y Martino in Milan, Italy. The brand started selling leather bags and accessories. 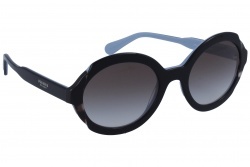 Prada was growing becoming one of the most popular brands in the world of design glasses. 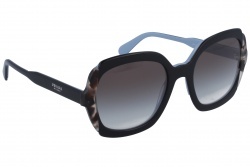 The Prada collection offers the best quality in prescription glasses and sunglasses, with unique and exquisite style. In Optical H we have a wide glasses catalogue and we can assess you at any moment so you can choose the Prada model that adjusts better to you. In our online store you can find the best products at best price.